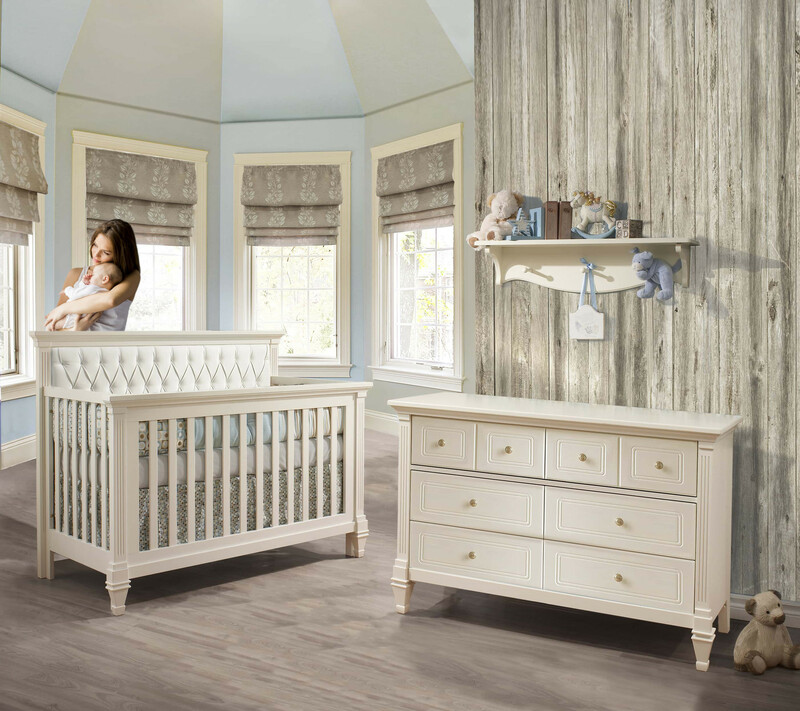 The Belmont “5-in-1” Convertible Crib is highlighted by chunky top moldings, grooved posts, imperial feet and an elegant framed back panel. The pairing of the convertible crib with a diamond tufted upholstered headboard panel lends a majestic air to the nursery. It offers long term value with five configurations: crib, toddler bed, daybed, double bed headboard and complete double bed.